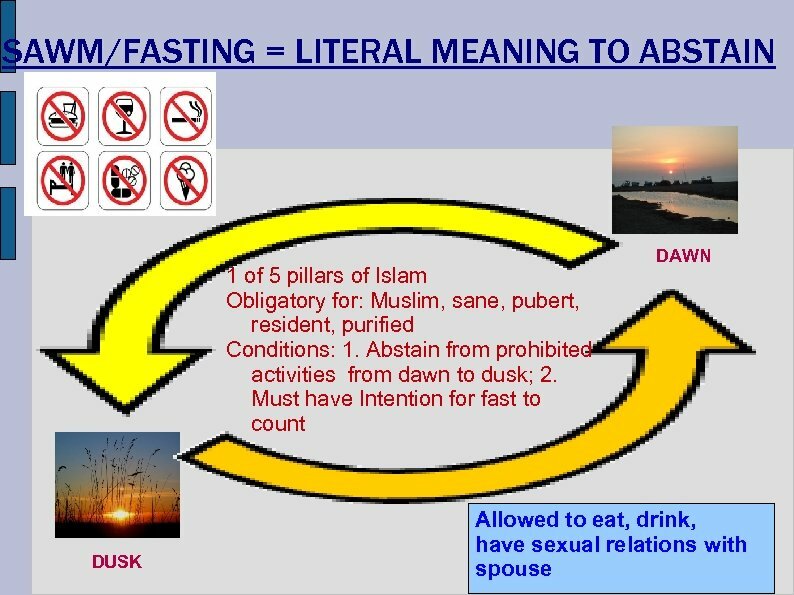 FASTING Ramadan appears to be in the 9 th month of the Lunar calendar, in which the Muslims fast for either 29 or 30 days. 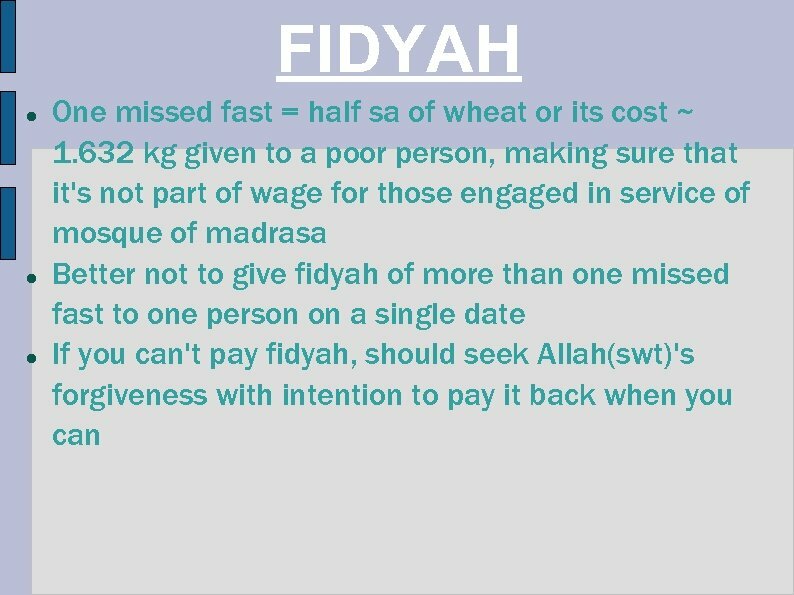 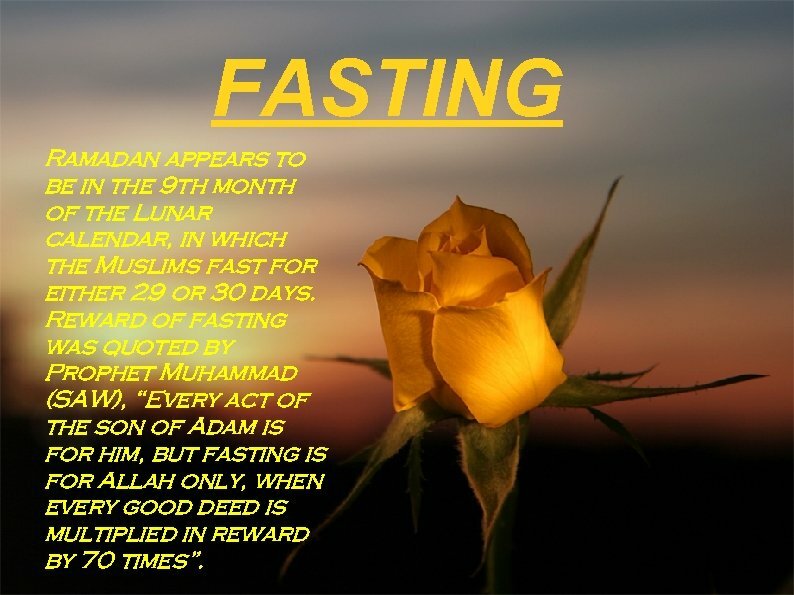 Reward of fasting was quoted by Prophet Muhammad (SAW), “Every act of the son of Adam is for him, but fasting is for Allah only, when every good deed is multiplied in reward by 70 times”. 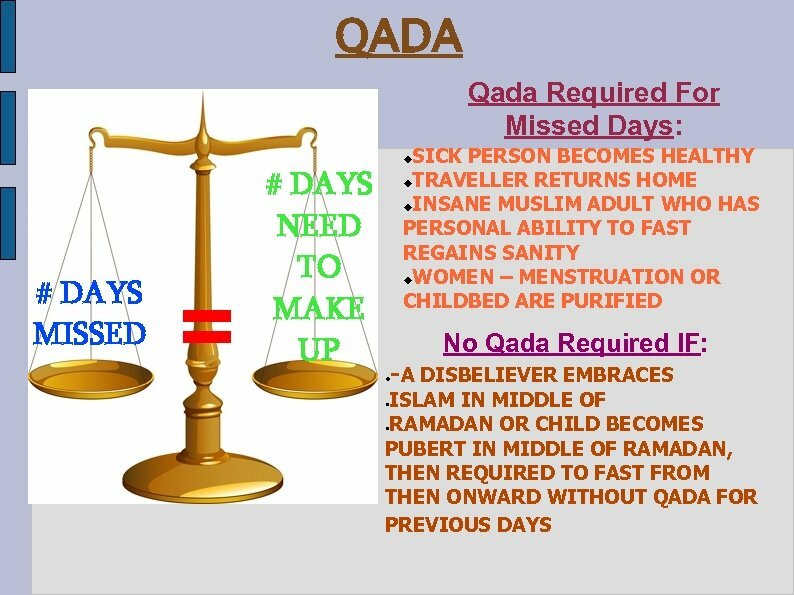 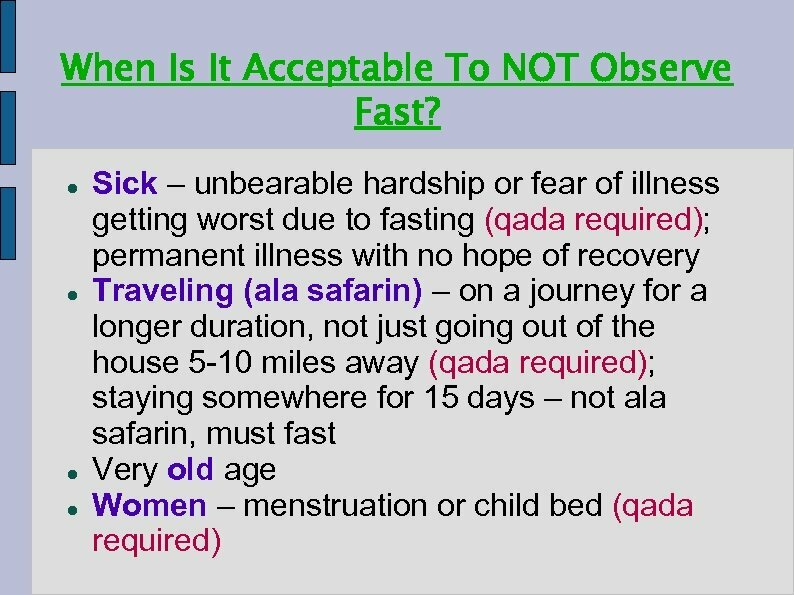 Fasting Only for Muslims? 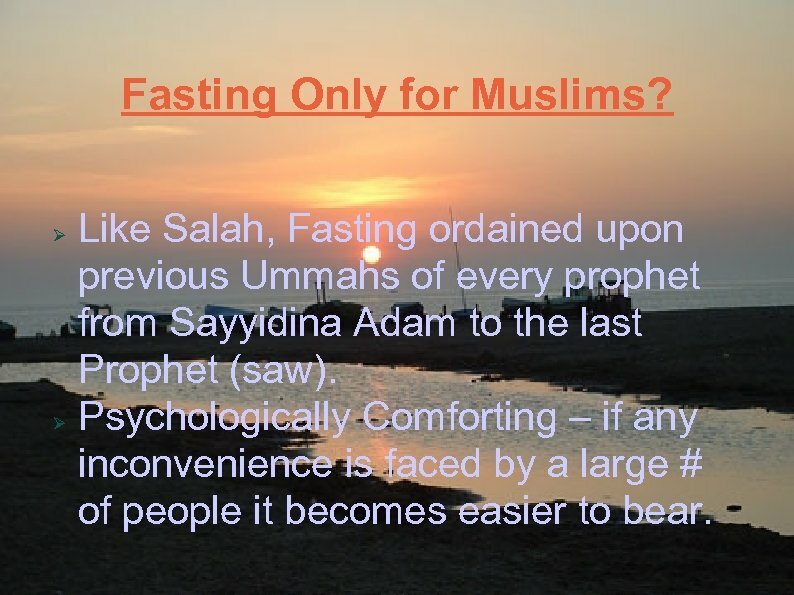 Like Salah, Fasting ordained upon previous Ummahs of every prophet from Sayyidina Adam to the last Prophet (saw). 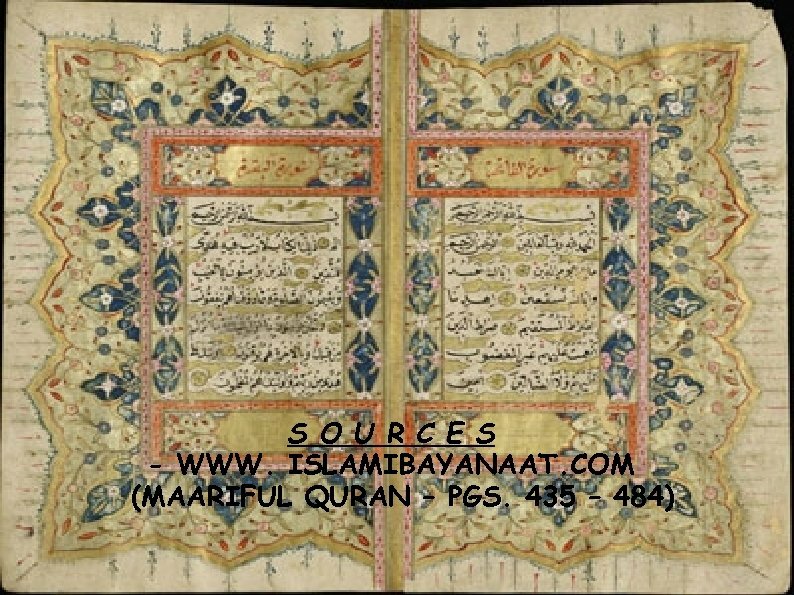 Psychologically Comforting – if any inconvenience is faced by a large # of people it becomes easier to bear. 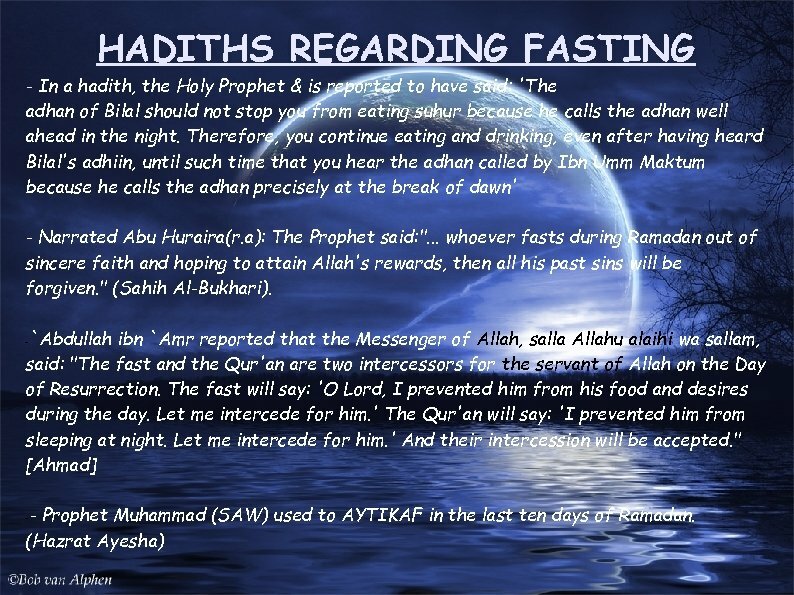 Lailatul-Qadar comes once every year; it falls in the last five odd numbered nights of Ramadan. 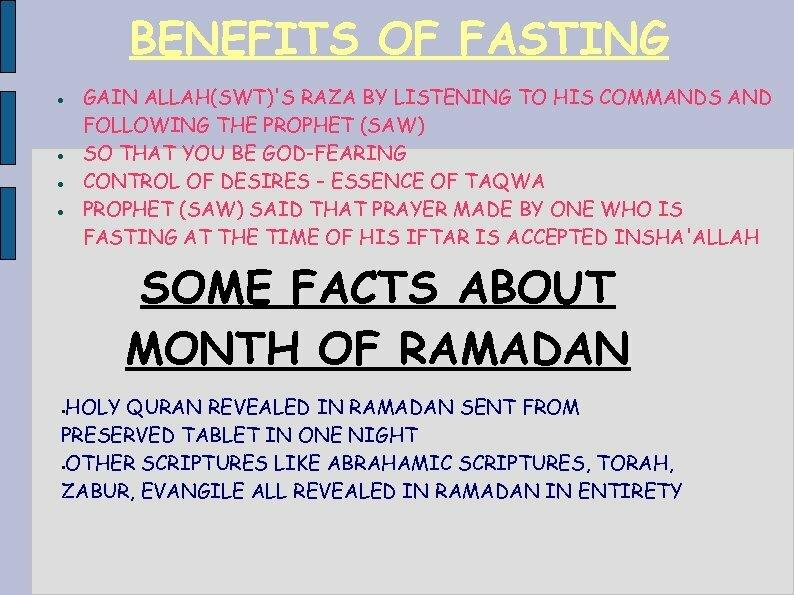 It is the night better then a thousand months of prayers. 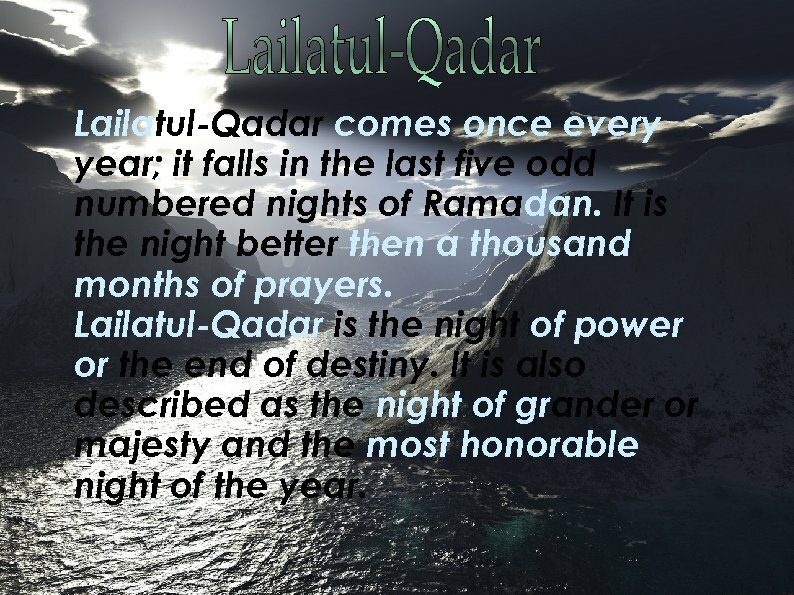 Lailatul-Qadar is the night of power or the end of destiny. 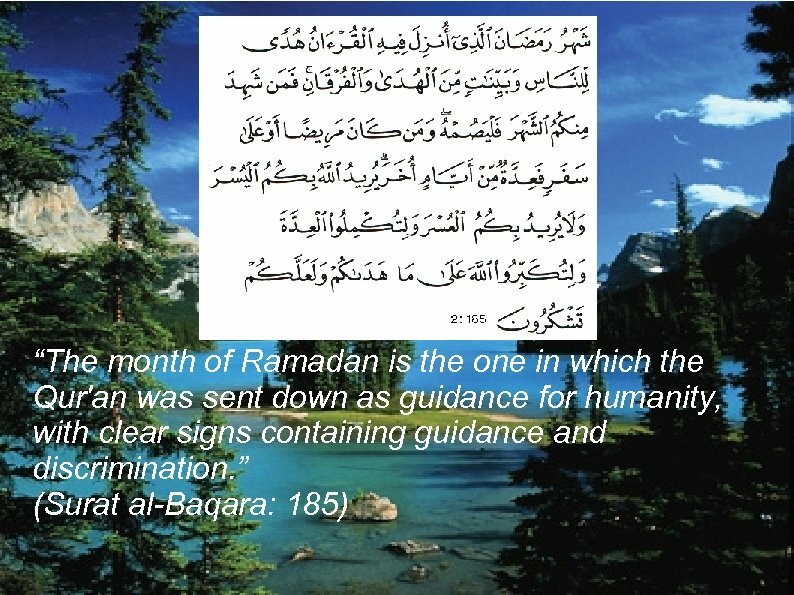 It is also described as the night of grander or majesty and the most honorable night of the year.